With a 9th place finish in sectionals, the boys cross country season ended without an invitation to Peoria. Although the team didn’t make it to state, as a whole they had a strong season. The team was very consistent, never finishing too far down in the rankings, along with steadily improving throughout the season. However, the end of the season also brings some major questions about future seasons. Because the seniors made up the majority of this year’s team, there will be a lot of uncertainty surrounding the team next year. “There were a lot of seniors that were very influential to our team. They provided leadership for our team and allowed us to remain consistent. The biggest thing now is to be able to fill that leadership void,” said Powers. 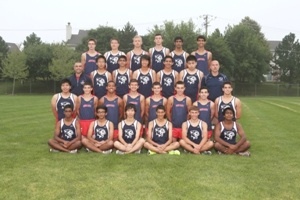 One of those seniors happens to be senior and Varsity Captain Zach Dale, who owns the record for the fastest 3 mile time in Conant history. Dale ended his Conant cross country career with a bang, finishing second in the state competition. “I was not satisfied with the second place finish. I was, however, happy with my performance, that I was able to put in my maximum effort in competing in state,” said Dale. Being a naturally talented runner, Dale was primed to have a big career in running. However, he became the second best runner in the state not just because of his talent, but also because of the effort he put in each day to develop his talent. Replacing Dale’s performance in events will be near impossible to accomplish next season. That’s not the concern of the coaches, though. The biggest dilemma for the team as they head into next season will be to find people who will be able to step up and take on leadership roles. All varsity athletes, not just upperclassmen, should be exempt from taking P.E. Previous story Naruto has Ended: Believe It!